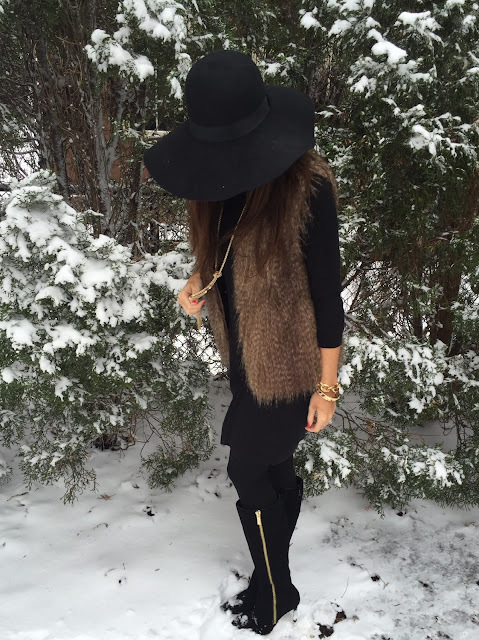 I joke that a faux fur vest is my uniform during the winter months. I wear it with jeans, skirts, and dresses; I feel so glam and pretty! 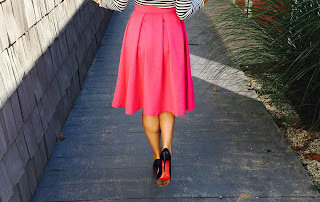 I love this look for a date night with my hubby or drinks with my girlfriends. 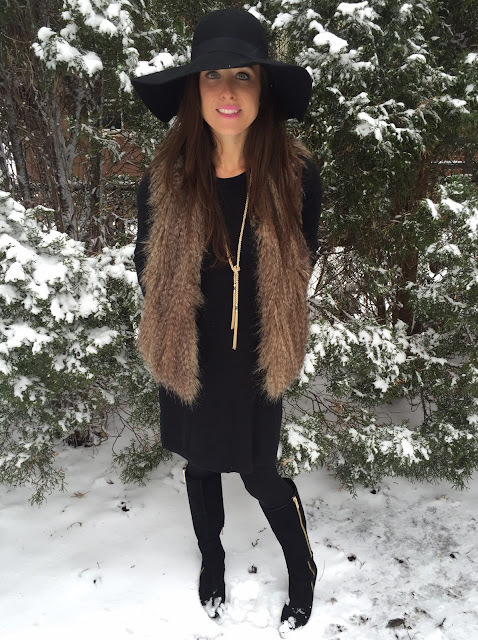 The sweater dress is comfy, yet the boots and faux fur vest give the look glam. This outfit is a must try if you need a little pick me up pretty during the winter months.